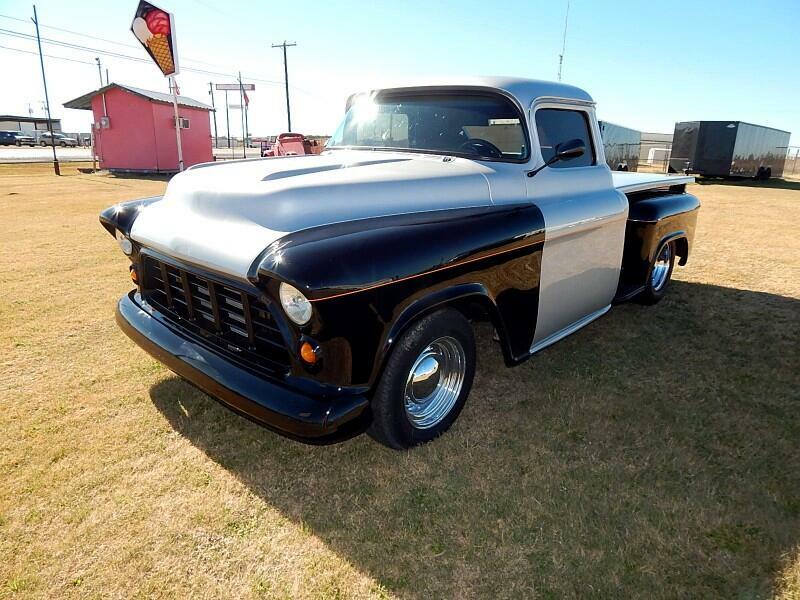 Check out this one of a kind 55 custom truck. Powered by a 350 motor and 700r4 transmission she is ready for the road or car show. Power Steering Power front disc brakes and Air Conditioning. She Has a Four Inch Chop On the Top for that one of a kind look. Custom Two Tone Paint will set you apart from the crowd.Door Poppers custom sound system and so much more. Call today for more info. Message: Thought you might be interested in this 1955 Chevrolet 3100.